Thai’s are not accustomed to cold weather. During the two-week “winter” in December, the temperature drops no lower than 60 degrees. 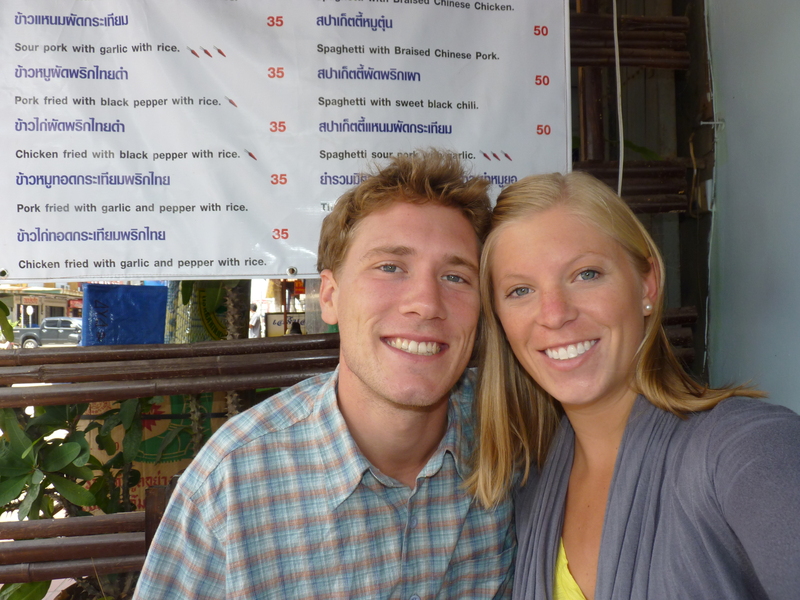 Sean and I traveled to Nan, seven hours north east of Chiang Mai, in hopes of signing up for a three day/two night trek. March and April are the hottest months in Thailand, temperatures well into the 90’s and high humidity; you can imagine why we would plan to be in the coolest part of the country. In the late afternoon on Wednesday, Nan welcomed us with below 50 degree weather and freezing rain. We checked into a guesthouse and decided to wait out the weather, hoping to make it on a trek the next day. The freezing rain continued for three days straight, never stopping, and only getting colder. Restaurants and food stalls closed up shop. For the first two days, we hardly left the guesthouse, spending our time playing backgammon, eating cashews, and drinking red wine. We were starving by dinner time and decided to make one last attempt to find a real meal. 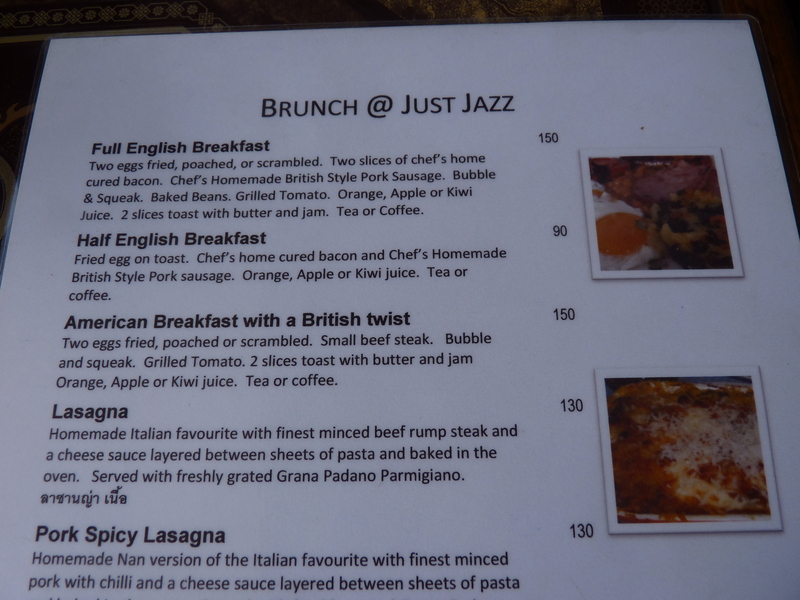 We stumbled across Just Jazz, a small restaurant, no more than ten tables, with an extensive Thai and Western menu. We placed our order, curry for me and lasagna for Sean. 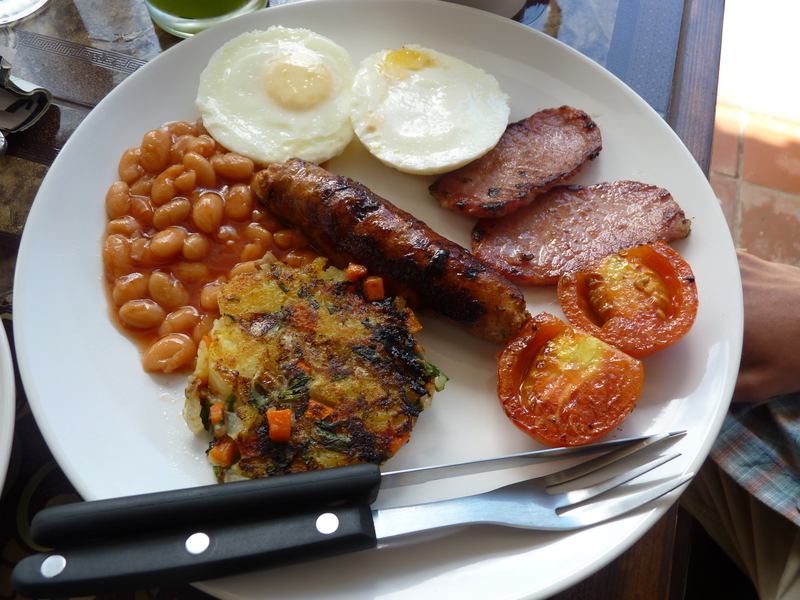 We both could tell that this meal would help turn around our dreary days in Nan. The food was unbelievably good. The lasagna was creamy, the cheese and béchamel sauce oozing from the layers of pasta, and the curry was homemade, thick and rich. We ended up joining a party of regulars; two brits and a guy originally from Boston. 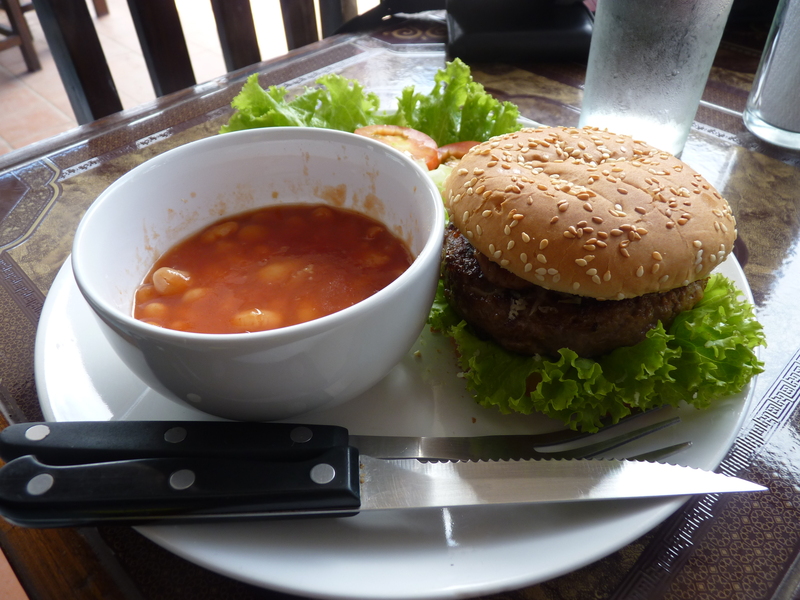 As a St. Patty’s Day celebration, one of the regulars ordered the Chef’s Gourmet Beef Burger for the group to split. 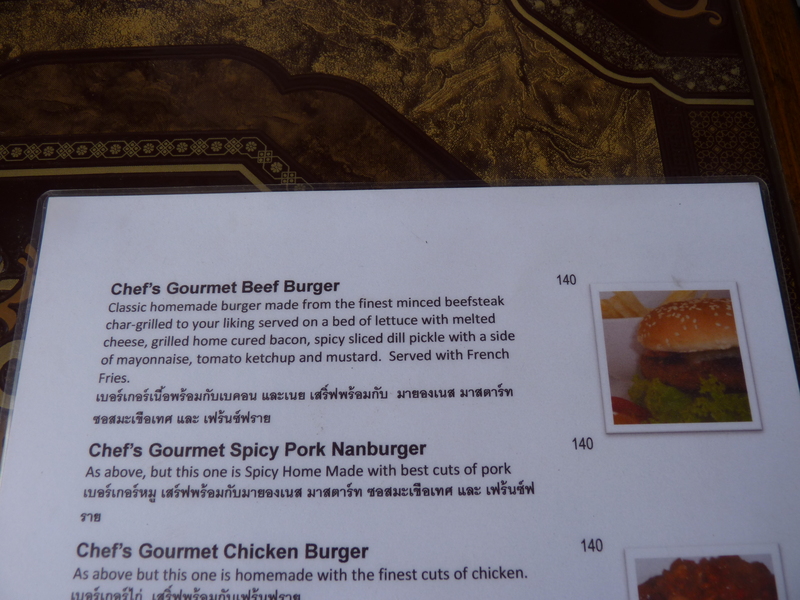 It was by far the best burger I have had in Thailand. Using local beef, the chef creates a flavorful, melt-in-your-mouth patty, using almost no fat. 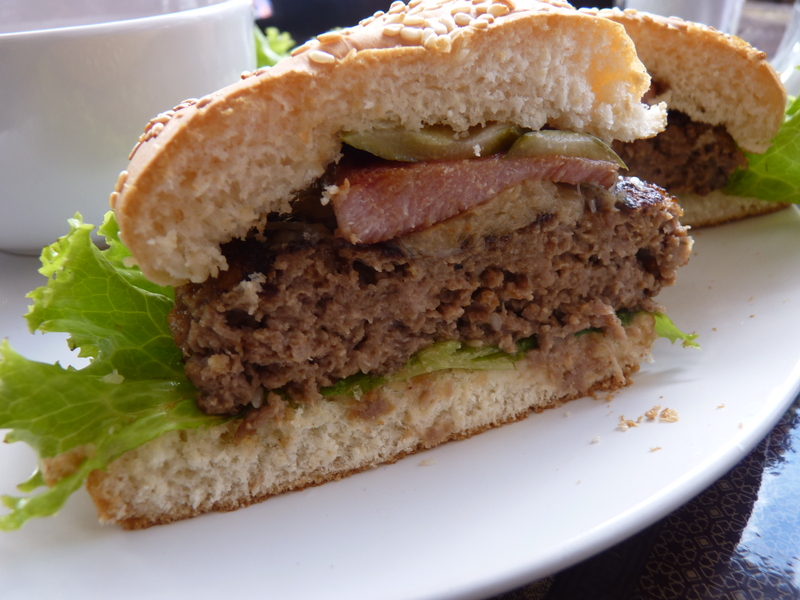 She then top the burger with home-cured bacon, spicy pickles and melted parmesan cheese. The five of us sat around the table for hours, sharing various dishes from the menu and drinking whiskey. One of the chef’s realized that I wasn’t drinking whiskey and brought me a complimentary glass of red wine. 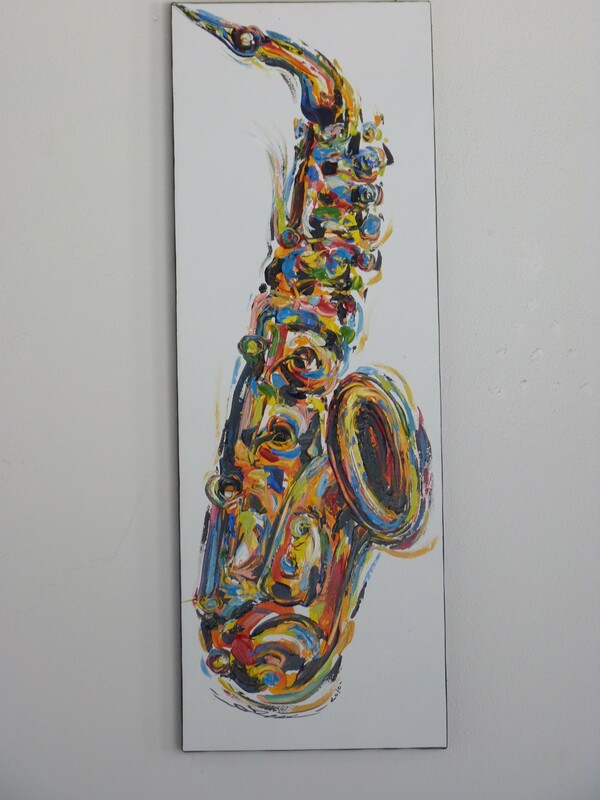 In a town with few restaurants and no Western options, Just Jazz is an absolute gem. The quality of the ingredients and the time and care that goes into each dish is not something you will find anywhere else in Nan. We had such a good time that we decided to push our bus back and enjoy brunch the next morning. As it turns out, the bus was full and we ended up eating dinner there as well and sampled some of the Thai dishes. Unsurprisingly, they were delicious!